Can your resume pass the six-second test? I can’t think of another piece of paper that gets stressed over, analyzed, and revised more than a personal resume. But what good are those 14 pages if no one will take the time to read them? There are no prizes for most complete anthology of experience or the largest number of words crammed onto a page. Work smarter, not harder. The average reader spends six seconds reviewing your resume. Their eye starts at the top with your contact info, glances over the summary and then skims over the layout of the page, finally landing on your most recent experience. It is only when there is something between your opening and first section of experience that you are able to grab the reader’s attention and make them want to read more! 1). Tight margins and the over-crowding of words make readers cringe. People naturally have lazy eyes, and little time, so make it easy to read with plenty of white space and room to let your words breathe. If it’s too overwhelming to the eye, or makes the reader feel like it’s going to take 20 minutes to get through it, they’re tossing it in the trash! 2). Make sure your objective or opening statement/summary actually says what you want to do. I can’t tell you the number of resumes that cross my desk that leave me clueless as to what the person wants to do! Spell it out for us – we don’t want to guess. While you’re at it – tell us WHY you want to do this. DISCLAIMER: This next one might hurt your feelings. But it’s coming from a place of love, and in the spirit of making you better. 3). I can promise you that no one will be impressed by your statements of being a “Results-driven professional,” or “Accomplished leader with proven results.” These statements say nothing. Actually, they tell me you don’t know how to talk about what you’ve done, so you summarize to say that you’re a big deal, without actually saying anything. 4). Talk about your biggest accomplishments. Use metrics. 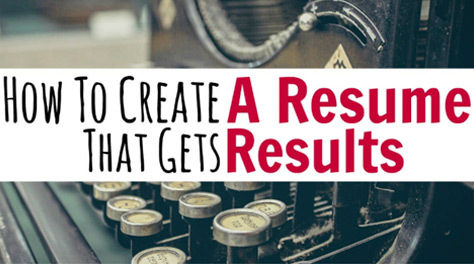 Quantify your results through examples. You’ll be 100 x more memorable for this – than by using the boldest of claims you could possibly make. Use no more than three bullets to accomplish this and keep it concise to add the most value to your resume. 5). Don’t get caught up in explaining all of your duties and responsibilities. Give a two-to-three sentence explanation of your job, and then list three bullets calling out your biggest accomplishments, or what you’re most proud of. Begin each bullet with a power verb, ex: “Created,” “Produced,” “Managed,” etc. Then use your three bullets to display quantifiable examples of your work. Did you save the company money? Did you improve ROI? 6). Please don’t name your resume, “Resume,” or “Resume 2018.” This means that it is going to have to renamed before it can be saved, and it is at risk of being lost due to the anonymity of the document. Make it easy to be found and remembered! First Name_Last Name_Resume. Boom! Don’t succumb to the pressure of writing or buying the perfect resume. That resume will NOT get you the job. I repeat, your resume will NOT get you the job. You’ll do that through your networking, relationship building, and by authentically telling your story in a job interview. But you do need one, as it’s a formality to applying to any opportunity. Follow these tips and put your best effort into your resume. Get peer-review feedback on it. By writing your resume, you learn how to identify your strengths while reflecting on your career progress thus far. You learn how to tell your story and what your brand identity is. These steps are crucial to success at the end of the job hunt. Don’t skip the fundamentals. You need them to build your success story on.